Why Does My Diamond Appear Hazy? In spite of all the scientific measures that can be used to determine the quality and the value of a given diamond, the method to be trusted the most is still the obvious: human visual experience. Even though diamond certificates and appraisals are usually trustworthy, you will probably not care much about the values presented in the different supplied papers as long as your diamond will appear to be foggy, to be hazy. Luckily, in most such cases the problem is probably going to be very simple and either warranty or a few bucks will definitely solve it. Let us take a look at how you can identify and get rid of the haziness of your diamond. There are no separate diamonds for indoor and outdoor usage. Your diamond should perform equally well wherever you would like to wear them. That sounds quite obvious, right? In theory it does, but in practice it is less often kept in mind. The appearance of a diamond is yielded from the way its structure reflects light. For that reason, the composition of the light that enters the stone is quintessential. That is, the different lights coming from different sources will probably make the diamond perform slightly differently. Natural light has an entirely different spectrum than light coming from a LED lamp or a fluorescent tube. If the cost of your diamond of choice is not in the range of hundreds of thousands of dollars, it is probably a good idea to check the light performance of your stone in different light conditions. Go for the easiest possible solution – is there an external reason for the haze? The apparent haziness of your diamond might even be the result of the simplest possible issue: the light that should be reflected on the inside of the diamond cannot even enter the diamond due to a blemish on its surface. Issues present on the surface of diamonds are not a big deal – the haze caused by them can be eliminated by a simple polishing procedure, or sometimes even by a profound cleaning of the stone. Since it is more likely that the reason behind the haziness will be on the outside, be sure to check the diamond for dirt and blemishes thoroughly before thinking of anything worse. What is there to be done if the problem is on the inside of the diamond? Diamonds that are of such a low overall material quality that they look hazy from any angle are not often sold at jewelries. 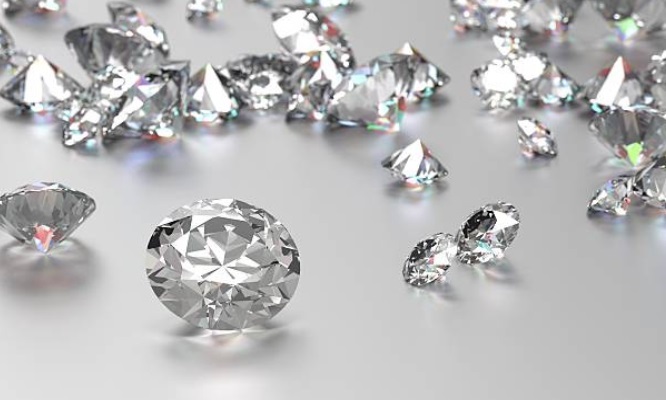 In most cases, your problem is either connected to the high number of inclusions present in your diamond (typically in the SI2 clarity rating range) or to an unlucky position of an inclusion. Also, such haziness can be caused by a poor cut. If the facets of the diamond do not close an appropriate angle and light is not reflected how it should be, due to the unbalanced behavior of light, haziness will probably appear. In both cases, there are two possible solutions to make the haze disappear. First, the diamond can be recut, so that the inclusions would be left off or the facets would be realigned. If the position of the inclusions is rather unfavorable, the diamond can even be split into several smaller stones, each of higher quality than the original one. In conclusion, we can say that a hazy diamond does not represent a catastrophe. Surely, it will cost you some reparation money and it is quite likely that your diamond will lose some of its weight, but in most cases the haziness will disappear. For that reason, you should never get too worried if you see a hazy diamond – it is not a reason to celebrate, but the haziness is actually a rather simple problem that is easy to solve. We warmly welcome you to our blog about the jewelry industry. In this website, we curate and compile the latest happenings in the industry and also provide guides to buying jewelry.